On Wednesday, May 9, 2018, at 9:27 pm, State Police-Troop G received multiple 911 calls reporting three-car motor vehicle accident on I-95 Northbound, North of Exit#4 in the Town Greenwich. Vehicle #1, a 2016 Ford Focus, bearing CT Reg AJ88162 and Vehicle #2, a 2013 Chevrolet Cruze, bearing CT Reg AC11943 were traveling I-95 North, North of Exit 4 in the center lane of three. Vehicle #3, a 2014 Honda Accord, bearing NY Reg T702731 was traveling in the left lane and changed lanes into the center lane striking the rear of vehicle #2. The force of the impact caused vehicle #2 to strike the rear of vehicle #1. After vehicle #3 struck vehicle #2, it began to rotate counterclockwise. The back seat passenger of vehicle #2 sustained serious injuries and was pronounced deceased at the scene. Next of Kin has not yet been notified therefore we cannot release the name of the victim at this time. 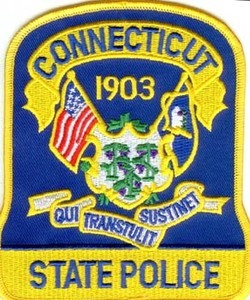 The State Police Accident Reconstruction Unit was called to the scene to assist with the investigation. This case remains under investigation.